Why does this matter for us? 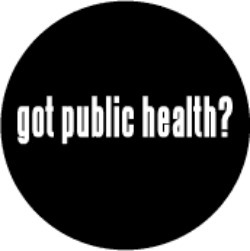 In the ED setting, this definition of “public health” means that we take a step back from the day-to-day care of our patients and think about the bigger issues that are creating and/or facilitating their disease states. Doing so offers us the opportunity to transcend our frustrations with some patients’ seeming merry-go-round of ED visits. It also gives us a lens into how to transform health, and healthcare, in a more substantive sense. For instance, we may be emotionally exhausted from taking care of assaulted patients day after day. A public health approach to care allows us to look at what circumstances are common among these patients, which of these circumstances may be modifiable, and then develop and implement solutions for these risk factors. You can see that the 4 steps mirror those of the development of, say, a new drug, intubation strategy, or trauma protocol. First you define the problem; next, you figure out why it’s happening; third, you develop and rigorously test a solution; fourth, you implement the solution in the real-world; and finally, you re-evaluate. Surveillance consists of using data to understand the extent and nature of a public health problem. This step is critical. Without it, we risk expending resources on problems that don’t really matter (e.g. don’t have a huge burden of illness or a huge cost). We may of course decide that it’s “worth” addressing despite low-prevalence issues on a population level, because of their moral/emotional importance – but we need to know the facts, first. What is the prevalence of unidentified HIV infection among ED patients? How common is partner violence in ED patients? What percent of ED patients have received a flu vaccine in the prior year? What is the extra cost of working up a drunk trauma patient, vs. a non-intoxicated trauma patient? What percent of injured patients make it to the ED alive? Once we have identified the public health issues of the greatest significance to our specialty, we then have to figure out why they are happening: What are the determining factors? Which can be modified? This is necessary work prior to the “big kahuna” of developing a population-level intervention. Why are ED patients unlikely to have had an HIV test? Are domestic violence victims more or less likely to report substance abuse? What are the reasons why elderly patients don’t get a flu vaccine? Which injured patients are most likely to change their alcohol-use patterns? Which injured patients are most likely to die on scene, and why? This step is where we figure out what will work to change Step 1, based on the data gleaned in Step 2. This step should be based in theory and research. How much research? I’ll discuss that in a future post! In essence, we should prove that the intervention is acceptable, feasible, and has efficacy. We may also examine effectiveness and cost-effectiveness, although these questions often wait for Step 4. In this step, we take proven intervention strategies and figure out how to make them work in real life. This is the hardest step. As we all know, healthcare providers – just like patients! – are slow to change behavior. And there are many institutional barriers to new public health measures. But without implementation, all of our work is for naught. What are your thoughts on this process? What public health questions do you wish we could address in the ED? What have you tried?